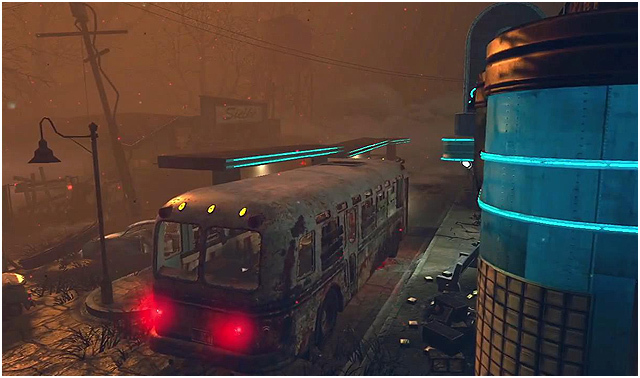 The map "Tranzit" was based around an upgradable bus that would drive players from area to area. 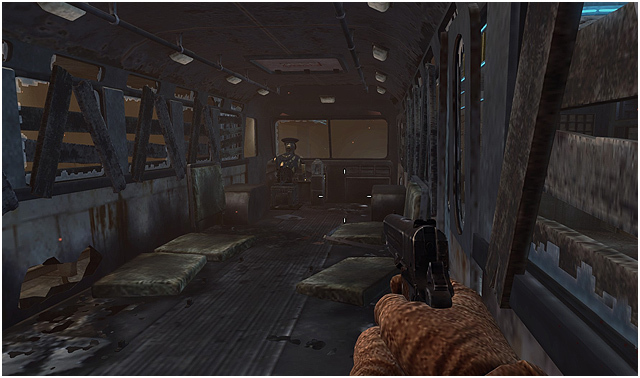 Upgrades were scattered in random locations each playthrough, keeping the tension high. 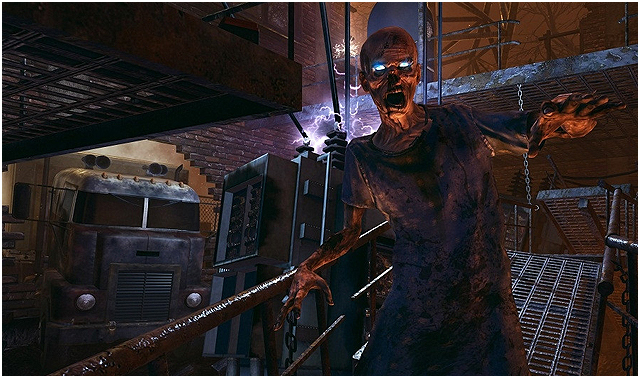 My contributions to Tranzit varied from building alpha stage geometry to scripting and balancing. 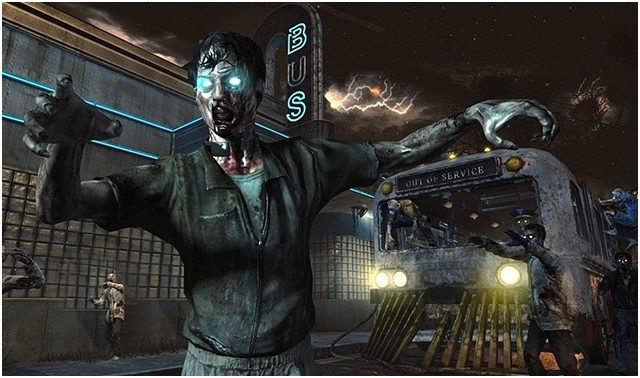 map layouts, tuning zombie spawn locations, weapon placement, and bus pathing. I built the original layout for the world map that sewed all of the sections together. Each location had a specific placement and purpose. I pitched the intro idea for the power plant zombie and how it ties into map progression.